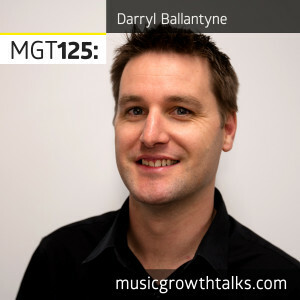 DDarryl Ballantyne is the founder and CEO of LyricFind, the global leader in lyric licensing. The Toronto-based company handles the vetting, licensing, and royalty splits and payments when lyrics are displayed in Google Search, Apple Music, Amazon, Shazam, Pandora, Deezer, and many more platforms and services. LyricFind works with over 5,000 publishers around the world to ensure that songwriters and rights holders are paid when their lyrics are shown. On this Music Growth Talks episode, Darryl talked about their recent African deal with CAPASSO, explained how and why to submit your lyrics to LyricFind, and showed the creative ways that they turn lyric publishing into revenue (hint: one of it is through merch). Listen to the episode in full to learn how your songs’ lyrics might bring you exposure (probably more than money if you are a developing artist), and hear Darryl’s thoughts on how lyrics enhance a listener’s experience.